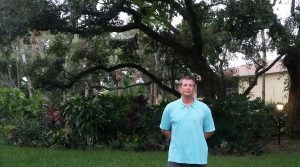 Mark Greene has provided professional Massage Therapy throughout Naples and its surrounding communities for 19 years. Mark will work with you, in the privacy of your home, to relieve your PAIN, TAUT MUSCLES and TENSION. Mark specializes in DEEP TISSUE, MEDICAL, & THERAPEUTIC MASSAGE THERAPY. Day or evening appointments are available for your convenience. Studies of the benefits of massage demonstrate that it is an effective treatment for reducing Neck and Shoulder pain, Low Back pain, Stress, and Tension. Day or evening appointments are available.